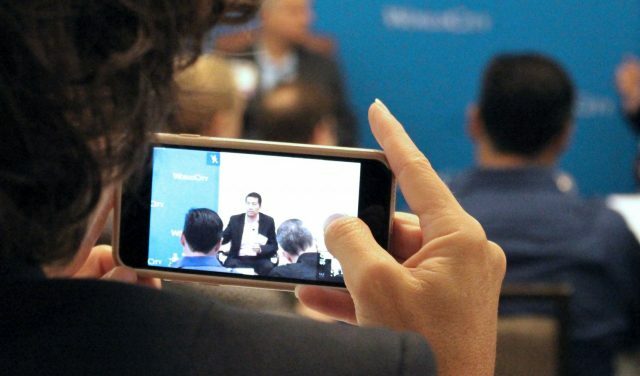 The new power of video - WorldCity, Inc.
Video consumption and the use of video in digital marketing are exploding together, not only in the United States but in Latin America as well. 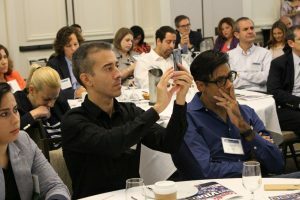 That’s what a packed room at the latest Global Connections learned from a panel of executives with an expertise in the use of video. How prevalent is video now in the marketplace? According to a report by Cisco, by 2021, it will take an individual 5 million years to watch the amount of video that crosses global IP networks each month. By that time, Cisco also predicts smartphone traffic will exceed PC traffic and global internet traffic will be equivalent to 127 times the volume of the entire global internet in 2005. With those mind-boggling predictions in mind, here were the 11 biggest takeaways from the this latest Global Connections event. Camacho also added some statistics and forecasts for Latin America, saying 46 percent of consumption in the region right now is via a PC but anticipated that to only be 20 percent by 2021. Meanwhile, mobile traffic in the region will increase from 13 percent to 36 percent. Lastly, the number of devices each consumer uses will increase. Currently, Americans average three devices and 2.5 in Latin America. That’s expected to grow to 12 devices for Americans and 4.5 in Latin America by 2021. 2. Want effective videos? Keep them short. “The other thing we’re seeing is this time crunch revolution. We think that is a space, where we at least find ourselves being in. That is the real future,” said panelist Robert Rodriguez is the CEO of Natcom Global, one of the leading fact-based, short-form content producers and distributors in the United States. For marketing purposes, videos shouldn’t be longer than 60 seconds because the engagement rate is very high to that point, said panelist Hector Hernandez, chief digital officer at McCann Worldgroup. “That is incredibly important. You can’t trick the audience,” said Rodriguez, talking about matching the aspect ratio of video to the aspect ratio of the screen on the device in which the video will be viewed. Go look at many of the viral videos on Facebook? What shape are the videos? They are a 1×1 square optimized for when you are holding your smartphone vertically. If it were 16×9, it would be tiny on your screen, unless you turn your phone horizontally. Not all people listen to the audio of a video that pops up in their Facebook or Twitter feed. So easily digestible and engaging information on the screen becomes crucial. “We understand the vast majority of consumption doesn’t want audio, for whatever reason. They’re on the train. They’re in the office, et cetera,” said Rodriguez. All of this becomes a science to the art of creating content. The science is formatting, filtering out what annoys the audience, and adding multi-language videos for Latin America. Fewer than three percent of consumers currently use virtual reality, said Hernandez. “We’re not overly excited about the adoption of it yet,” said Rodriguez. The technology largely has not caught up with the consumption of the mainstream yet. “You learn at home at your own pace. You access the content at your disposal, and you go to school resolve the questions you have,” said Camacho about the emerging model for education. The access though to these educational resources and implementation is still largely dependent on government acceptance and support in the region. 7. How do you make money from video? One member of the audience at Global Connections shares a moment on social media. Click here to see our Facebook album from the event! Rodriguez said the third piece of monetizing (and fastest growing) is to work directly with a brand to create a piece of content that is then distributed through Natcom’s distribution network. 8. What is the next disruption? The panel predicted voice activation, including virtual assistants to make purchases, will become more and more mainstream. Alexa in the Amazon Echo is the most well-known example. 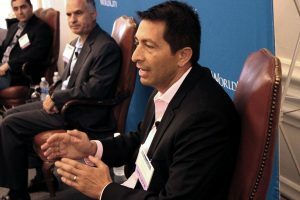 The panel also noted the move from 4G to 5G mobile networks in the next year or so will open a new world, but we do not yet know what it will mean in terms of change in our day-to-day lives. 9. Will advances in technology equalize Latin America with the world or create a greater gap? Camacho said he believes it is on the agendas of Latin Americas leaders to invest in technology, which he believes will close the gap in technology between the region and the rest of the world. Consumer demand is also creating an expectation for access. “Normally, the speed is 10 times lower (in Latin America), but the cost in relation to their income is extremely higher,” said Hernandez, who said eventually speed and cost will lower. 10. Are we investing in the right infrastructure to support this? Asia is leading the world in this area, but how is the Western Hemisphere doing? 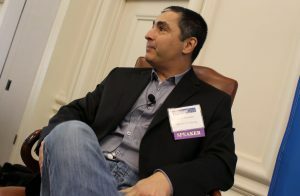 “We are investing but falling behind,” said Camacho, when it comes to connectivity. Facebook has largely become pay-to-play if you want your videos to be seen. There are 150,000 posts trying to get in your news feed daily, said Hernandez. From those 150,000, Facebook’s algorithms pick about 1,500 that are going to be relevant to you. Out of those 1,500, you’re only going to get about 300. So do the math, and only 0.2 percent of the posts trying to get into your news feed daily actually make the cut. There are ways to boost that performance though. Obviously, paying to boost a post is one, but Hernandez also said live video performs 17 times better than recorded video on Facebook. 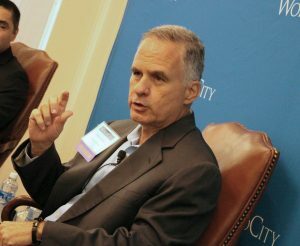 On July 28, World City’s Global Connections series continues with a panel on Cyber Security.